The staff and volunteer leadership of the Altru Family YMCA work tirelessly every day to nurture the potential of kids, improve our communities health and well-being, give back and support our neighbors. A native of Grand Forks, Bob attended Mayville State University on a basketball scholarship, completing his Bachelor’s Degree in Recreation Administration from the University of North Dakota. 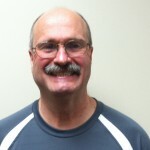 Bob worked at the Y in various positions while attending UND. He was hired full-time as Membership Director in 1997, assuming his role as Chief Operating Officer in 2000, and Chief Executive Officer in Sept, 2018. 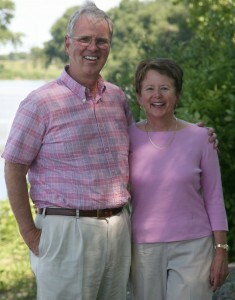 Bob is married to wife Mary and has 2 children, John and Stephanie. 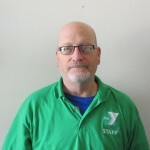 Jerry started working at the Y in July, 2007 as a maintenance supervisor. He was promoted to Buildings & Grounds Director in February, 2015. Prior to his work with the Y, Jerry spent 15 years with Lystads & Ecolab in the Food and Hospitality Business. Jerry is certified in First Aide, CPR and AED, CPO and holds a commercial applicators license. Jerry is married to Patty with 3 adult children. Janine is a graduate of the Minnesota State University with Bachelor’s Degrees in Early Childhood Education. After graduation, Janine worked as a Pre-School Teacher for the Tri-Valley Opportunity Council Migrant Head Start in Moorhead, MN. She also worked as an Early Childhood Educator and Parent Educator of Early Childhood Family Education for the Hawley Public School District. She was then the Parenting Resource Center Consultant for NDSU for 8 years. Finally, Janine worked as an Assistant Project Director of Program Design and Management for the SENDCAA Head Start and Early Head Start program in Fargo, ND for 15 years before joining us at the Y as an Infant/Toddler Coordinator in January, 2013. 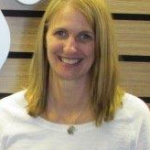 In June, 2013, Janine was promoted to be our Child Care Director. Janine has 1 son. Jennifer is a graduate of the Minnesota State University with Bachelor’s Degrees in Early Childhood Education. After graduation, Jennifer worked as a Teacher Assistant and then promoted to Lead Teacher for the SENDCAA Head Start and Early Head Start program in Fargo, ND. 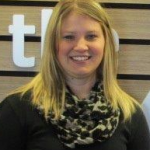 In July, 2012, Jennifer was hired at the Y as a Pre-School Coordinator. In June, 2013, she was promoted to be our Early Childhood Director. Jennifer is married to Sean Karpowich, and they have one child. A Devils Lake native, Patti started her career at the Y in 1979 as a swim instructor while she attended UND. During the next several years she coordinated group fitness and taught a wide variety of classes while working as a classroom teacher and coach, followed by many years in Advertising/Communications. Patti has been acting YMCA Healthy Living Director for 7 years, during which time she enjoyed developing specialized programs and classes. She holds degrees in Education/Visual Arts and Technical Illustration/Graphic Design. Patti has been ACE certified in group fitness since 1989 and has acquired numerous group fitness and health-related certifications, including ACE Weight Management Specialist, LIVESTRONG at the YMCA, National Diabetes Prevention, and Parkinson Wellness Recovery. Patti is married to Tom McEnroe and they enjoy their two red labs, Daisy and Rowdie. A native of East Grand Forks, Darryl attended the University of North Dakota graduating with Bachelor’s Degrees in Physical Education and Marketing. Darryl worked in the Athletic Department while at UND serving as Assistant Intramural Director. After graduation he was Athletic Director and Community Education Coordinator at Marshall County Central High School in Newfolden (MN). 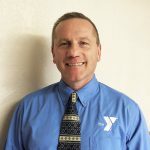 Darryl served as Recreation Coordinator for the Mandan (ND) Park District before coming to the Y as Youth Basketball League Coordinator in 2002. He began serving as the Sports Director for the Y in January, 2012. Brian is a graduate of the University of Wisconsin-Whitewater with a double Bachelor’s Degree in Communications and Natural History. His experience working with youth began working as a Park Ranger with the National Park Service, as well as, coaching baseball for the local Y in the Black Hills of South Dakota. 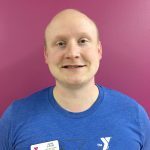 Brian has previously worked for the YMCA of Metropolitan Chicago and the YMCA of Northern Utah, managing after-school programs, residential & day camps and youth sports. Brian has two wonderful sisters and a dog named Jake. Adam is a graduate of the University of North Dakota with a Bachelor’s Degree in Physical Education, Exercise Science and Wellness. 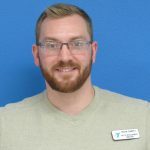 Adam was a Personal Trainer and Clinical Exercise Specialist at Altru’s Medical Fitness Center for 13 years and worked with various organizations developing services for individuals in our region with different health conditions. Adam is an ACE Certified Personal Trainer, an ACE Certified Medical Exercise Specialist, and is certified in numerous group exercise and education formats. Adam is married to Jody and they have one child.